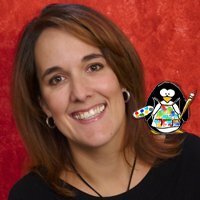 Jen Goode is the owner and “doodler in charge” of JGoode Designs, a Denver based art and design studio. She has been a creative professional since 1996, developing art for a variety of uses in an array of mediums from handmade crafts to Graphic design and Illustration. Jen is a tech savvy, work-at-home mom of 3 who shares her insight as an “unstarving artist” by writing as a featured contributor on Suze Orman’s Money Minded Moms and as the Denver work-at-home mom at Examiner.com. She is involved in social media and internet marketing, volunteering as the Newcomer Program Coordinator for Affiliate Summit, is a member of the Performance Marketing Association and a designer member of the Craft and Hobby Association. us are capable of and it does make a difference.